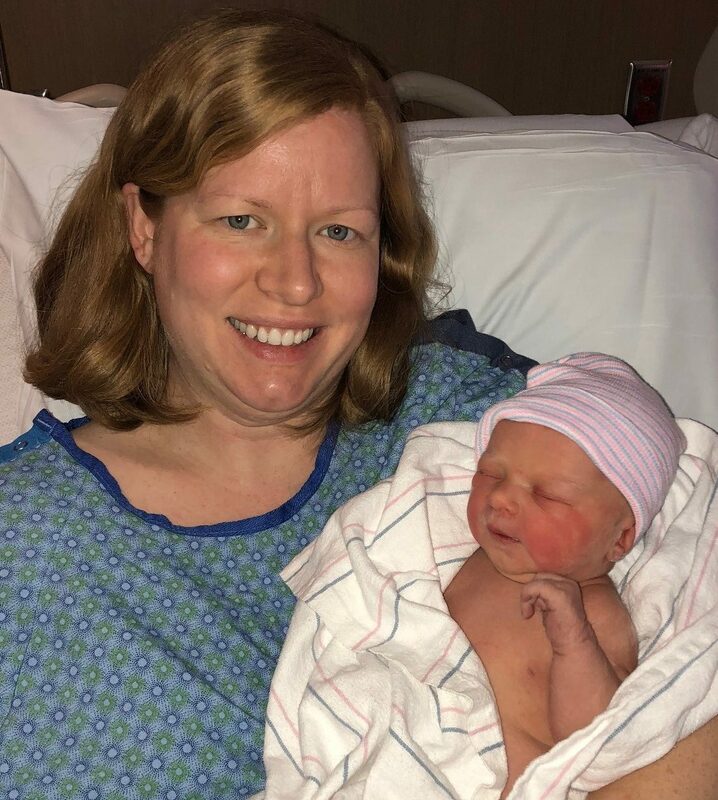 Erin Potts of Hugo holds her baby girl born Nov. 11, 2018 at 11 p.m.
[Pioneer Press, Nov. 12, 2018] A baby girl was born in St. Paul at 11 p.m. on 11/11, the 100th anniversary of Armistice Day. The baby, weighing 7 pounds and 12 ounces, was born to Erin and Mike Potts of Hugo at Allina Health’s Mother Baby Center at United and Children’s Minnesota. “It’s our first child and delivering her on the Armistice anniversary wasn’t anything we had thought about. In fact, we didn’t realize that until today,” said mom Erin Potts. Potts was in labor most of Sunday, from 5 a.m. until 11 p.m. They did not find out the gender ahead of time and had not yet settled on a name. KARE 11 also reported on the birth.